It’s not easy to hear that your child is going to struggle in certain ways. The fear of the future can be downright paralyzing and while all children are perfect in their own way, it’s not what you dream up when you first think about having a child. Okay so let me explain, but first I need do a little storytelling. Stay with me, because I promise that this is going somewhere. The other day I was in the kitchen, all in my mom zone doing mom things, when my little cutie ran over to get me to do what he was doing. Not only did he run over, but he also invited me to join! He was watching Youtube videos about fruit, which he loves, and he wanted to make the apples that we had at home look like the core of the apple they sang about in the song. He grabbed apples for both of us and we laughed and laughed as we ate these things down to the core. A slight amount of madness erupted when apparently I bit mine too much, but it was out of this world amazing! So what’s the big deal? It’s just eating an apple! Wrong! Stay with me. When he was little and we were first undergoing the diagnosis process I was on the outside and I desperately wanted in. I would have done anything to be a part of his world, but nothing was working. One of our first assignments, a couple years ago, was to take anything we had around and introduce reciprocity, interaction, and flexibility. One of my daily attempts of this was by attempting to share an apple…my bite..your bite..my bite..your bite. It wasn’t super fun at the time and I was terrified and worried because it wasn’t easy to do with him. Many people have a hard time accepting what the doctors may say and I don’t get why. 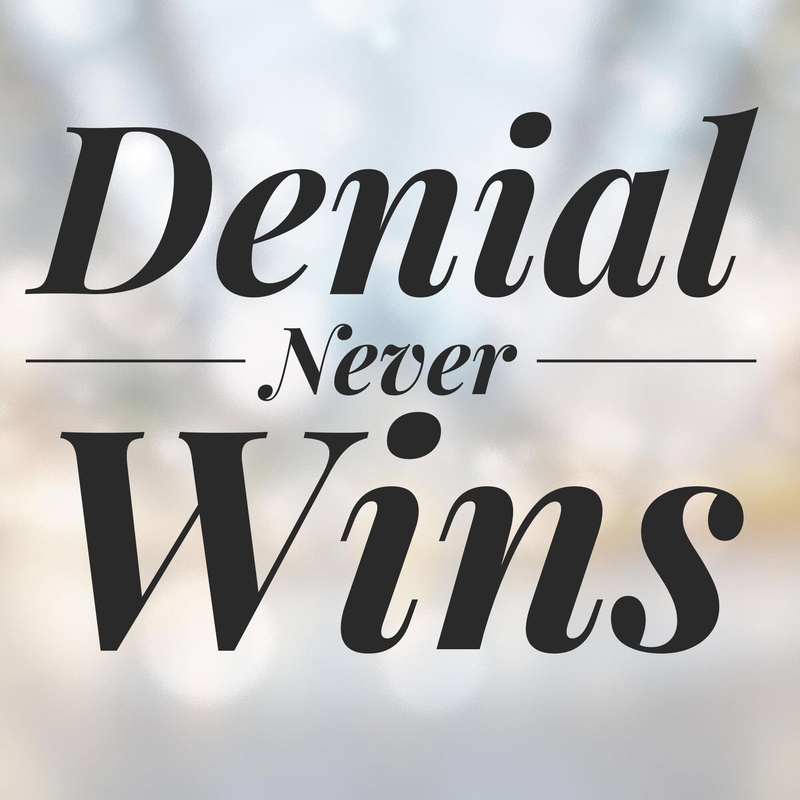 Denial doesn’t help choose the right therapies, get you to appointments, provide a healthy united feeling in your household, and most certainly doesn’t help your child. Denial puts you on the outs, and not just with a diagnosis, but also in your relationship with your child. The other day when we were playing that game with the apples I had this beautiful moment where I got to just admire and celebrate how far my little love had come and how amazing he is to be with. When you are stuck denying the reality of your child’s struggle, you don’t stand a chance at being part of the celebration. To me that’s like missing the biggest and hottest party in town, but worse! It’s not really about winning and I am sure you get my point. You can take this and apply it to any area of your life. Times can be tough and things can be hard hitting, but unless you can take things, face them head on, and start working toward a solution you are going to lose. Remember the board game, Life? You had to drive around in little cars, pick up a spouse, pick up a couple of pink and blue pegs (kids) for the backseat, and get a paycheck. I don’t know about you, but my life has had a bit more to navigate than that! This is my journey and while I may not have chosen it, I couldn’t be more grateful for all the beautiful moments and joy my life has been blessed with.